HELPING EACH PERSON ONE CHIP AT A TIME. Are You Open To Beneficial Change That Is Nothing To Sneeze At? Are you open to beneficial change that is nothing to sneeze at? You do not have to answer yet. 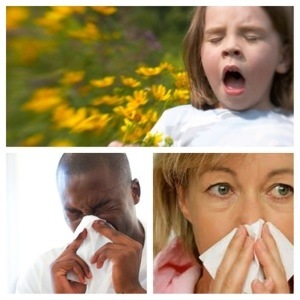 Allergies for many of us are nothing to sneeze at. ( Is there a pun in there somewhere? ). When we experience Sinus-ītis or Rhinosinusītis, histamines our bodies communicators, protectors, regulators and informants have been given their marching orders. They cause our bodies to respond to invading organisms that try to infect or actually infect our bodies. That is the good news. The not so good news is that they are also responsible for the discomfort of sneezing, runny nose, tearing eyes, etcetera associated with the [ ītis ] part of Sinus. It is this discomfort and how each of us responds to it that is the NOTHING TO SNEEZE about part. Sometimes we may even look like a baseball catcher giving signals to the pitcher as we pull out the Kleenex, rub our eyes, blow our noses, breathe through our mouths and itch and scratch trying to get relief. So what is a fellow or fella ( female ) to do? Well for starters let me state what I USED to do and what way too many of you are still doing — that is “DOING” the ANTIHISTIMINE, DECONGESTANT or some combination “THING” to inhibit the the discomfort associated with the particular inflammation caused by our very own histamines. There are at least 54 different drugs that (us) allergy sufferers take! (1) We all know these drugs by there marketing names however here are just a few of those 54 technical names; Bropheniramine, diphenhydramines, loratadines, chlorpheniramines, pseudoephedrine and oxymetazoline for starters. No, they are not some obscure ancient names from the Illiad and The Odessey. Do they help? Yes, BUT….two words SIDE-EFFECTS. There are so many of them that most of us ignore them. For those of us who it is important to us requires that we write them down or have a damn good memory. Try your hand at it. READ BELOW. DECONGESTANTS, (Bropheniramine, diphenhydramines et.al.) medications USED for the temporary relief of nasal congestion due to the colds, hay fever, and sinus congestion can cause nervousness • restlessness • excitability • dizziness • headache • fear • anxiety • tremors • hallucinations • allergic reaction • hives • difficulty breathing • pounding fast or uneven heartbeat • bruising or bleeding • unusual weakness • fever • chills • body aches • flu symptoms • dangerously high blood pressure • blurred vision • ringing in your ears • confusion • chest pain • uneven heart rate • convulsions (seizures) • loss of appetiten • swelling of your face, lips, tongue, or throat. Additionally, Pseudo-ephedrine MAY have adverse effects on the FETUS and is excreted in BREAST MILK. HOW MANY DOTS DID YOU COUNT BEFORE YOU STOPPED COUNTING? DOSAGE: Take one each 12 hours. DOSAGE: Take a pill or two each 4 – 6 hours for some others for 12 – 24 hours. TALK to your doctor first if you have an enlarged prostate, heart disease, high blood pressure, thyroid problems, kidney or liver disease, a bladder obstruction, or glaucoma. (3). STILL COUNTING DOTS? ANTIBIOTICS – common to these products are: A bad taste in the mouth • Upset stomach • Mild to severe diarrhea • vaginal yeast infection • inflammation or infection of the small or large intestine (enterocolitis). HAVE YOU CONNECTED THE DOTS YET? So getting back to THE question – Are You Open To Beneficial Change That Is Nothing To Sneeze At? If NO, you can STOP right here. BUT IF YES CONTINUE…..
CieAura OFFERS Sinus Allergy sufferers an alternative that is much much easier to COUNT the DOTS. • WHAT TO DO: Wear one behind one or both ears for up to 5 days. Changing not only the way you think but the actions you take. Here’s to your health. READ more about Cieaura’s approach to energy wellness. NOTE: Use Your Earbuds! You Do Not Want To Miss A Word Of What Palma Is Saying. MORE testimonials are available on my YouTube Channel, Chipsterhealth. Cieaura products do not diagnose, cure, mitigate treatment or prevent disease or any other medical condition. Content published here is not read or approved by CieAura before it is posted and does not necessarily represent the views and opinions of CieAura. Pièce De Résistance For Sinus-Allergies. Raise your hands if your allergy suffering levels rise during springtime. Keep those hands up if you would like alternatives to taking prescription drugs. You can even raise them if you know someone who is experiencing one or wanting the other. You are reading the right blog then, because you will either be able to get more help personally or assist someone else who needs it. If you live in anyone of these California cities [ San Francisco, Modesto, San Jose, Bakersfield, Riverside, Stockton, Sacramento, Los Angeles, Fresno, Oxnard,San Diego ] does it appear to you that your sinus allergies flair up more often than before? Well I can assure you, you aren’t imagining it especially if your allergies are airborne driven. They are flairing up more – these are top listed U.S. cities for springtime allergies. What maybe be increasing your symptons? Global climate change maybe one culprit. Richard W. Honsinger, MD, an allergist in Los Alamos, N.M., and a clinical professor of medicine at the University of New Mexico School of Medicine says that from February to June native trees cause the most allergy problems. Also higher carbon dioxide, a by-product of air pollution causes an increase in ragweed which due to these higher levels is happening earlier each year. Oak and walnut trees can be of concern for many too. And guess what? California has them all. So what can be done to try and help our bodies better cope with the things that causes many of us that runny or stuffy nose problem, itchy watery eyes problem and sneezing problems? You should begin in advance of the allergy season which is right around the corner. You know it as Springtime 2013. Before you begin popping pills, I suggest trying a diet. No, not for losing weight but for building up your body’s natural ability to stave off or minimize sinus/allergy issues. You can begin by eating foods that are known to assist the body in this fight. Parsley, Broccoli, Onions, garlic, elderberries, kale, collard greens, and citrus fruits are just some of the natural ways to help. Remember herbs and foods that have high vitamin C and folic acid also help. There is an aditional aid that can assist you in advance of and during your preparation for allergy season 2013! I personally use this and it never ceases to astound me! Many call it needIe-less acupuncture. I call it the Pièce De Résistance for Sinus/Allergies! This is a French term for something that is outstanding! This sinus/allergy holographic chip is just that — nothing out there can compare! It uses the principals of acupuncture without being invasive – influencing, adjusting and balancing the energy flow of our bodies. Nothing enters the body (for it is non-transdermal) and it has no side-effects. In this way it helps our body to help itself. This chip is just totally amazing! Would you like to see the how effective this holographic chip is? A free copy of the double blind placebo test published in the Alternative Therapies Journal, Listed in The Elite Index Medicus can be sent upon request to your email or smart phone. Do you know what U.S. city has the highest pollen count and most OTC allergy medications taken per person? The answer is at the very end of this blog. You can also watch some testimonials on how Cieaura is helping others at my YouTube channel. Just type Chipsterhealth in the search window when you are on YouTube. According to the Asthma and Allergy Foundation of America (AAFA) Knoxville, Tennessee has the highest pollen level of any U.S. city. Its daily pollen count is over 300 grains of pollen per cubic meter of air daily. Allergy sufferers there purchase more than two medications each. The national average is one per patient! Tape Worms and Leeches For Obesity, REALLY?